Photo of Lady doing ballet in woods. 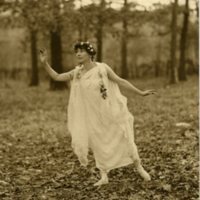 Photograph of Lady doing ballet outside in wooded area. Photograph of Women in Wedding Dress standing under an arbor.